What's for breakfast on March 17th? Pancakes hot off the griddle! 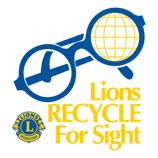 Donate your old, unused eye glasses. We will put them to good use!